I wish I could say I found this book on my own--and give myself a little on the back--but it was a submission. What caught my eye was a reference to the writing style of Jonathan Lethem--one of my favorites*--who has a distinct story-telling style that usually leaves you with an indelible smile on your face. 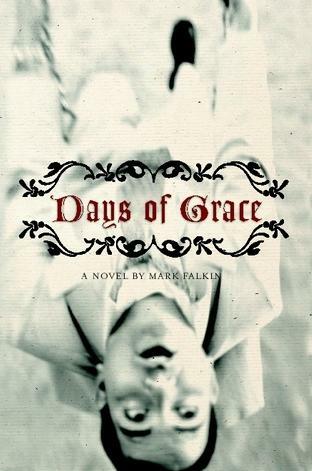 So I read DAYS OF GRACE. It's fair to say that I am conducting a series of anthropological experiments of sorts. However, the control group is me and in the end it is me who is also the lab rat. This is literature at its best, bringing you the ins and outs of Ian's life through delightful exposition, making you pause repeatedly and think, "What a great sentence!" Awakened by noises I couldn't at first readily identify and in a room I only vaguely remember bedding down in (and a room I had never really spent any appreciable time in because it was added on when I was in college), I lay staring at the ceiling's spackle paint patterns, simultaneously discomfited and heartened by the musty smell of familial dirty laundry. Something recognizable in the smell, the stink that rose above the heap. It was the penultimate smell of home, the ultimate being a dinner dish only your family's gastronomical alchemy can conjure, of the bodies of the people from whom I come and from whom I gather strength. The smell of the pack. Primal smell. With a hint of bleach and detergent held in packages expressing urgent freshness rolling down from the shelf. Bottom line? This book is not only a bona fide page-turner, it's downright cool. This novel has everything going for it--even a dynamite cover. And at $15.50 (@ Lulu) for a 500+ page book, it's hard to tell he went POD at all. * Please note: Do not start including on your submissions: ". . . and you're really going to love my spicy Chick Lit novel because it reads like Jonathan Lethem!" For the love of stones, it better not.